The Quill Gordon hatch begins in early April in central Appalachian streams and moves into southern Pennsylvania by mid-April. By early May it is going strong in the Catskills, and it lingers through the rest of May in the Adirondacks and New England. Some books report that this species occurs in the East and the Midwest, though I have not found any accounts of fishable hatches in the Midwest and they are not reported there by the USGS. Once the pleuralis hatch is triggered by several consecutive days of ideal water temperature, it carries a sort of momentum. The duns supposedly continue to hatch almost every day, regardless of weather, until they are all done. It is best fished by casting upstream, allowing it to sink, and then twitching it up through the currents in front of feeding fish. 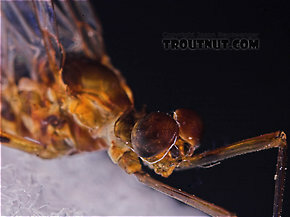 Once the duns are up, they may ride the surface for a long time and make several failed attempts before getting airborne. Skittering a dry fly accordingly may improve one's success. There are several values given in the fly fishing literature for the time it takes Epeorus pleuralis duns to molt and return as spinners. Different books say 1-2 days, 2 days, or 3-4 days. 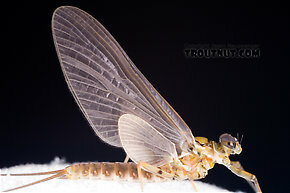 These spinners can provide good fishing, especially in pocket water in the rapids where they fall spent (Spent: The wing position of many aquatic insects when they fall on the water after mating. The wings of both sides lay flat on the water. The word may be used to describe insects with their wings in that position, as well as the position itself.). 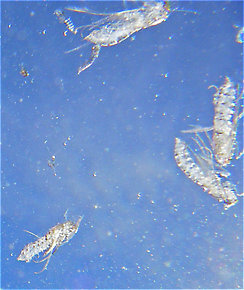 Several authors have noted that Epeorus pleuralis nymphs have an unusual habit of gathering en masse on the downstream side of certain objects in the stream prior to emergence. These objects may become a source of unexpected feeding lanes for the trout during emergence. In the cold water of the early season when the Quill Gordons hatch, the trout may not yet rise freely. 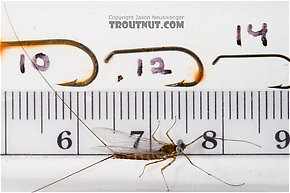 Although this hatch can provide good dry fly action, you should not hesitate to fish subsurface.